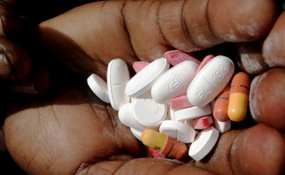 The Network of People Living with HIV/AIDS in Nigeria (NEPWHAN) has called on governments to ensure Antiretroviral Therapy (ART) is completely free, accessible and without user fee in 2019. Peter Obialor, Lagos State Coordinator of the group, made the plea in an interview with the News Agency of Nigeria (NAN) on Friday in Lagos. He added that his members were currently paying N2,000 monthly to access the drugs. The group also requested that treatments should be made available in the nearest facilities closer to People Living with HIV (PLHIV) for easy access. "The major thing we request from governments this year is to make PLHIV accessing treatment totally free, no user fee and it should be in all the nearest places and facilities for easy accessibility. "We have only benefited from AIDS Prevention Initiative in Nigeria (APIN) programme which allows us free access to drugs. "Other implementing partners (IPs) like FHI 360, a global health and development organisation in charge of Nigeria Institute of Medical Research (NIMR) and many other hospitals and facilities have refused us free access to drugs. "They are also collecting user fee, like for test which is not supposed to be so. "We pay as high as N2,000 per pack every month; many PLHIV cannot afford paying this fee and so, this has made many fall from adherence. "They are no more picking the drugs when they are supposed to and they are also not swallowing or taking the drugs when necessary," Mr Obialor said. According to him, many PLHIV are now leaving their facilities to other facilities because of user fee. He said "When they go there, they double count and register themselves as new clients instead of continuing from where they stopped. "They go there and start afresh because no user fee is required". Mr Obialor called for assistance of stakeholders to cut off the fee so that the planned 90-90-90 Strategy to get HIV epidemic under control could be achieved. NAN reports that the 90-90-90 is a concept introduced by the United Nations Programme on HIV/AIDS in 2013. The idea is that by 2020, 90 per cent of people who are HIV infected will be diagnosed, 90 per cent of people who are diagnosed will be on antiretroviral treatment and 90 per cent of those who receive Antiretroviral will be virally suppressed. Mr Obialor also decried how the CD4 count test usually carried out on PLHIV to know how their immune system functions had been stopped. He pleaded that CD4 count and viral load tests be carried out together so that PLHIV would have adequate information to manage their status.